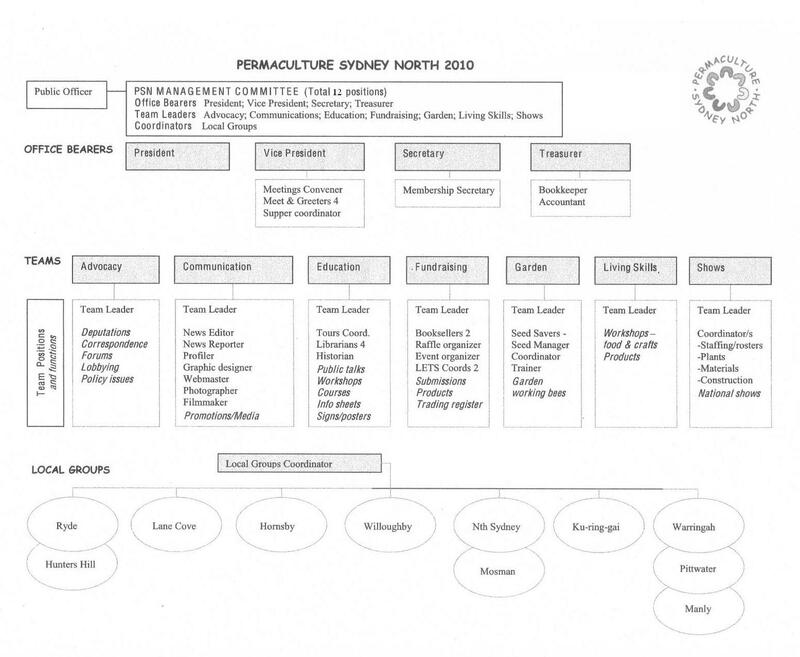 Permaculture Sydney North is a non-profit group of over 350 people based in Sydney, Australia with an amazing array of skills in self reliance, energy & water conservation, qualified permaculture design and teaching. It's a great place to start for people who want to learn more about healthier, abundant and satisfied living. Meetings: We meet on the 3rd Monday of the month (except January). Doors open at 6.30pm and the meeting runs from 7.00pm to 9.00pm with a wonderful supper provided and the opportunity to chat with other members. Our monthly meetings feature world-class speakers. We also use that time to raise awareness of sustainable living and to circulate knowledge and resources within the group, including a library, seedbank table, the purchase of books and a trash table. Our group, run by volunteers, is organised into local groups and specialist teams which take on different types of permie projects and you are welcome to become a member of Permaculture Sydney North and participate in team activities where you can learn a lot. We encourage members to get involved, to make the group enjoyable for everyone and to genuinely create an impact on the environment by taking responsibility for the well being of our planet, its resources and the future of our generations. Here are a couple of short videos to watch starring two prominent 'permies'.